The two Batman games that Rocksteady released in the past five years have been quite phenomenal and every fan of the Dark Knight were pleased on how it turned out. Now that the third game in the Arkham series is finally out with Arkham Origins, expectations are quite high as many fans hope that the game will surpass Arkham City in every possible way. 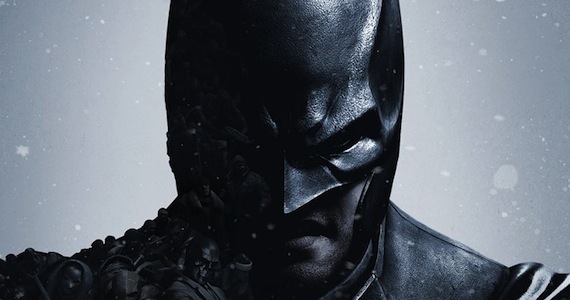 From Arkham Asylum to Arkham City, Rocksteady manages to break the glass ceiling that separates both titles apart but when it comes to the latest outing of Warner Bros. Montreal’s Arkham Origins, the game didn’t break any boundaries. Instead of Warner Bros. Montreal taking Arkham Origins to the next level, the developer decided to hide from the shadows of Arkham City, which is not really a bad thing although it halts the developer to shows its creativeness. From the beginning of Batman’s journey until the very end, fans will occasionally experience some sort of a deja vu as if they have seen certain parts of the game already. The core elements found in Rocksteady’s Arkham City are almost identical to Arkham Origins, which makes playing the game quite predictable at times. Discussing the story of Arkham Origins, Warner Bros. Montreal did a great job in crafting a perfect storyline for the game where they successfully incorporated new villains in the story-arc. 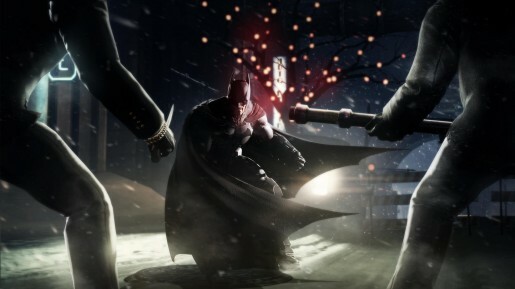 Arkham Origins takes place five years before the events of Arkham Asylum. I most likely will not call this game a prequel since it doesn’t have anything to do with the events of Arkham Asylum but more of a set piece that explores Batman’s early years of being the Dark Knight and the deeper psychology of the Joker. 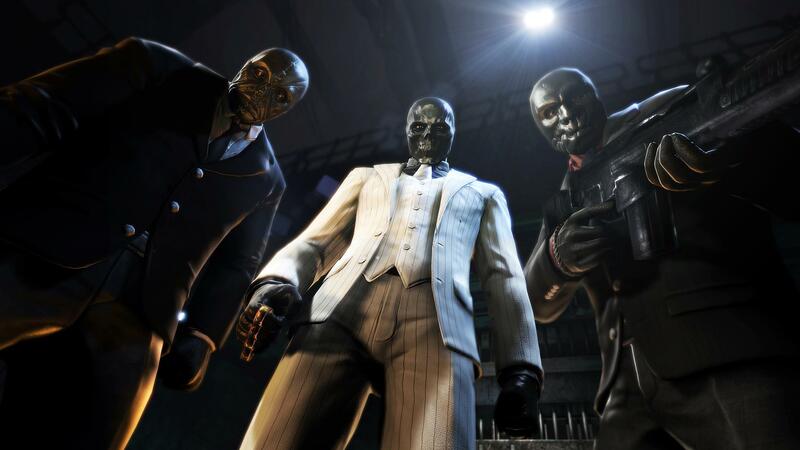 In Arkham Origins, a crime lord named Black Mask has placed a bounty on Batman’s head for fifty million dollars, assigning eight assassins to take him down on the night of Christmas eve. These eight assassins that Batman will track down and fight are the villains that you may have seen in comic books and movies. Expect to see Deadshot, Copperhead, Electricutioner, Bane, and many more, along with their iconic moves. On the night of Christmas Eve, Batman will have to track down the assassins and he will be going through the infested city of Gotham where brutes and criminals will be roaming everywhere. Just like in Arkham City, you are free to do whatever you want; you can explore Gotham City and do sidequests or go straight to the story missions. When you open the world map, you will see a bunch of icons that indicates what sidequests are open and where to go next if you want to progress through the story. As you clear out story missions, many sidequests will open up allowing you to do more in the crime-infested city of Gotham. You will not get to fight all of the eight assassins within the game. Instead, some of them will contact you randomly in-game and opens up sidequests that you can do. The variety of quests that you do is similar to what they have introduced in Arkham City. Some of the villains like Anarchy will ask you to find a bomb that you will have to disarm, while others like Enigma will ask you to destroy all relay networks that are around towns. There are about nine big side quests that you can do and it’s estimated that by doing those, it will add roughly six additional hours in your playthrough. 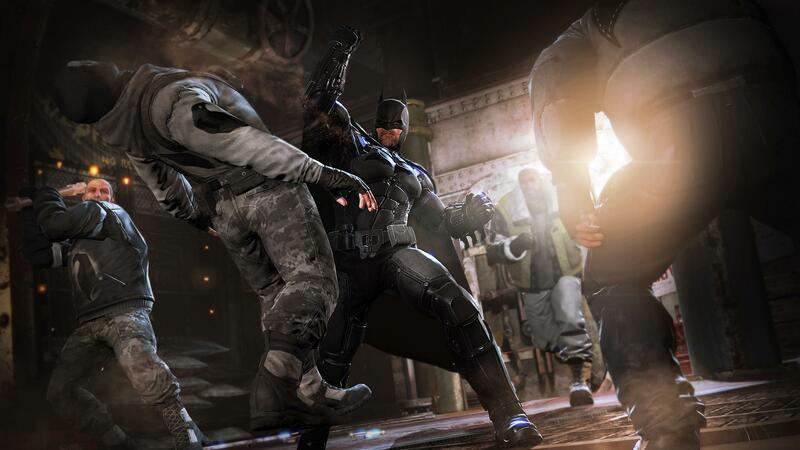 The fan favorite Challenge Mode will be making a return in Arkham Origins. As you clear missions in the story mode of Arkham Origins, you will unlock arenas where you can take down waves of enemies. The gadgets and abilities that you have in the single player will be retained when you are playing the challenge mode. The more you make Batman powerful in the single player mode, the more he will be competent enough to fight enemies in the Challenge Mode. If you prefer to be challenged, you have an option to disable the gadgets that Batman currently has to make it fair and square. Exploring Gotham city in Arkham Origins feels exactly the same as if you were exploring Arkham City. The process of going from one place to another is the quite same whereas you will glide from one tall building to the next, and use your grapnel gear to get to higher places. To make exploration in Gotham faster, a boost in using the grapple gun is implemented. The new boost doesn’t really make exploring a lot better since you are limited as to where you can do it. As for the depth of Gotham City, it is quite bigger compared to Arkham City. With a big city introduced in Arkham Origins, backtracking will be tedious and yes, you will do it again in this game. Luckily, fast traveling is now available in the game though you cannot really use it when doing story missions. As we all know, Batman is good in taking down enemies in close range. His skills and efficiency to dodge remains intact in Arkham Origins. The free-flow combat that everyone is accustomed in the past two Arkham games will find it here in Arkham Origins also. Nothing has changed much when it comes how the combat is executed, which makes the combat uninspired. The controls are the same with the exception of a few new combos introduced. When learning powerful combos within the game, you will have to earn a level to a gain a point that you can use for Batman. There will be a character tree that you can open up when you gain a level where you can level up his armor, his resistance in taking bullets, efficiency in using his gadgets and many more.